There’s some food that really only deserves to be eaten once a year – looking at you, turkey breast – and others that need to be broken out of their traditional “days” and brought back to every day life. Crepes? They definitely fall into the latter camp. 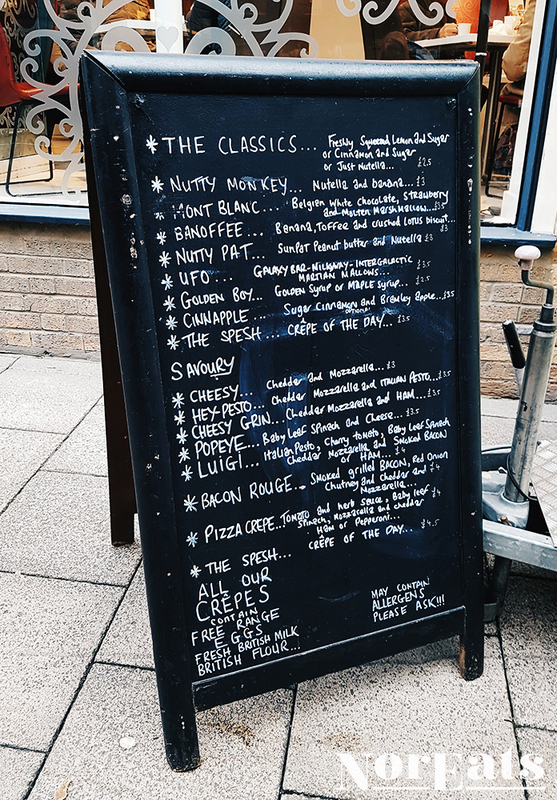 Christophe’s Crepes may well be leading the change, with queues sometimes reaching down Davey Place as people wait patiently for their treats of choice while the guys in the van juggle crepes across three big hotplates. And what choice there is, with options ranging from healthier savoury flavours (the addition of two vegetables counts, right?) to the downright filthy ones that leave you with a smear of Nutella round your mouth. Whichever you go for, you’ll know that as well as using a local independent, you’re also supporting British farming, as Christophe’s uses British milk and flour. Delicious and virtuous? That’ll do the job.